The SpaceX Falcon 9 rocket is not quite clear of the tower yet in this photo from the 30 March 2017 launch of the SES-10 satellite. Lots of reusable items here, including the old shuttle launch pad getting a new lease on life with SpaceX, and the Falcon 9 first stage, which flew once before less than a year ago and is now proving it can do it again. 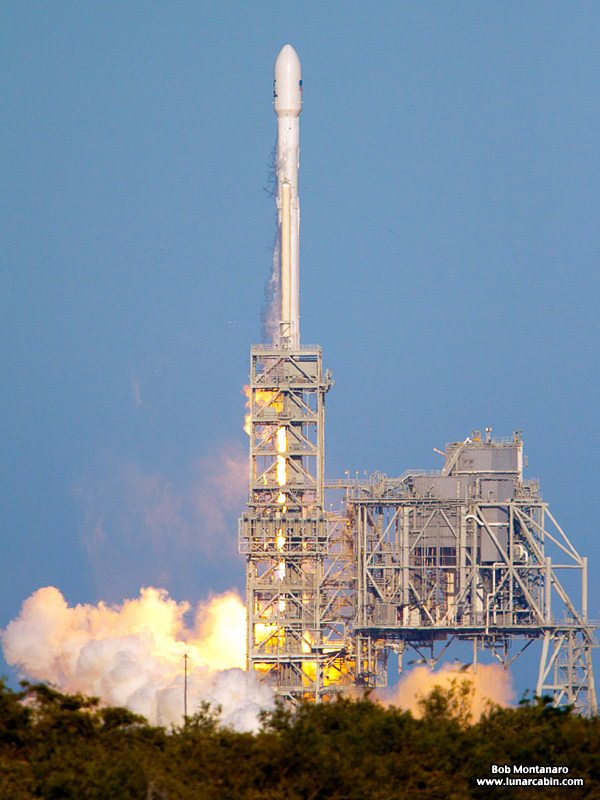 Click to view the rest of my SES-10 launch photos.